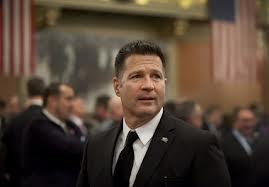 *The following are articles from local news sources and do not necessarily reflect the views of the Regan for Senate Campaign nor does the campaign take credit for any of the work published herein. A bill to rename a Newberry Township bridge for a U.S. Air Force officer cleared the state House Wednesday. The measure, House Bill 1711, would rename the Sheep Bridge Road bridge over Interstate 83 for Staff Sgt. Jason M. Faley. Faley, a 1991 graduate of Red Land High School, was a tactical air controller with the elite 5th Special Forces when he was killed during a training incident on March 12, 2001, in Kuwait. He was one of six people killed in a friendly fire incident during which a U.S. Navy F/A-18 pilot dropped a bomb close to an observation post, The Los Angeles Times reported at the time. The pilot and two air traffic controllers who helped direct the pilot toward the post and then gave him authorization to release three bombs were blamed for the incident,The New York Times reported in April 2001. The bill, sponsored by Rep. Mike Regan, R-Dillsburg, would rename the bridge the Staff Sgt. Jason M. Faley Memorial Bridge. Representatives voted unanimously to sent the bill to the Senate. Pennsylvania State Rep. Mike Regan recently visited Groff Tractor’s corporate headquarters for a luncheon. Regan is running for Pennsylvania State Senate. “It was such a great opportunity to spend some time around the hardworking folks at Groff Tractor. Groff Tractor epitomizes all that is good about business in Pennsylvania — management that cares about their employees and a family environment amongst the workforce. All of these things together add up to a successful business which has been providing quality products, services and family-sustaining jobs since 1958,” Regan said. Groff Tractor and Equipment Inc. distributes Case, Wirtgen, Liebherr, Takeuchi, Atlas Copco, Hamm, Vogele, Wacker Neuson, AGL, Interstate, Kleeman and Terex Construction, in addition to a complete line of construction parts and supplies. Groff Tractor also features a large inventory to meet the demands of the rental market. For more information, visit www.GroffTractor.com. For more information on Rep. Mike Regan, visit www.repmikeregan.com. State Rep. Mike Regan may soon have a new title in front of his name: that of senator. The York County Republican beat out three other candidates on Tuesday to secure the party’s nomination for the 31st state Senate seat. Regan led the three other candidates, securing 26,740 votes, followed closely by former NFL player Jon Ritchie, who received 15,737 votes, according to unofficial results from the Pennsylvania Department of State. Camp Hill-area dentist Brice Arndt came in third with 7,194 votes, and Scott Harper, an attorney from Washington Township, rounded out the field with 1,457 votes, according to the results. During his victory speech, Regan also noted he still has to win the November election to officially secure the seat. But since no Democrats ran, the race was essentially decided in the primary. Someone could still launch a write-in campaign, and third-party candidates have until Aug. 1 to file nomination papers. Regan also thanked his campaign workers, as well as state Sen. Scott Wagner, R-Spring Garden Township, and Senate Majority Leader Jake Corman, R-Centre County, for their help. “As we move forward over the next few days, I will have more updates on my future plans, but I plan to stay involved in the political process,” he said in a statement, in which he also thanked supporters. Voters: Lorrie Peiffer of Dillsburg became a fan of Regan back in 2012 when he successfully won his House seat. Regan worked the poll in Dillsburg, where Peiffer met him. But she also said she likes where Regan stands on the issues that matter to her, such as welfare reform. The district: The 31st Senate District includes an area that stretches from Fairview Township in the north to Jackson Township in the south as well as a large area of Cumberland County. A larger portion of York County was included in the district when state House and Senate district line were redrawn a few years ago. 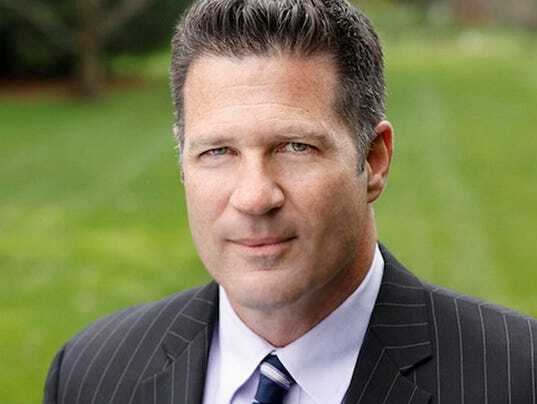 HARRISBURG, Pa. (WHTM) — State Rep. Mike Regan won the Republican nomination for the 31st district Senate race after a contentious campaign. In the weeks leading up to the primary, the race got ugly. Regan and Ritchie both released brutal attack ads about one another. Regan said at his election party that he is ready to move on and unite. “I’m looking forward to talking to those guys tomorrow and hopefully, we can mend those fences and all move forward as Republicans,” he said. The 31st district represents parts of Cumberland and York counties. Senator Pat Vance currently holds the seat but is retiring. No Democrats are running for the seat. In one of the hottest races in this year’s primary, former NFL player Jon Ritchie has conceded to Rep. Mike Regan in the 31st Senate District. Regan had roughly 50 percent of the vote in the two county district at around 10:30 p.m. Ritchie conceded around that time. The 31st District GOP primary was a crowded race with four men vying for the seat — Camp Hill dentist Brice Arndt, York County attorney Scott Harper, state Rep. Mike Regan, R-Carroll Township, and former NFL player and sports analyst Jon Ritchie. The seat, which is currently held by Sen. Pat Vance, R-Cumberland County, was declared an open race by the Cumberland County GOP in January. The district covers parts of Cumberland and York counties. And unless a write-in or third party candidate decides to run, the primary will likely decide who will win the seat. State Rep. Mike Regan, R-Carroll Township, will likely be stepping up into the state Senate next term. His winning Tuesday’s Republican primary effectively earns him the seat, barring a successful third-party or write-in candidate. Regan did not respond to a request for comment Tuesday night. He ran against Dr. Brice Arndt, a dentist who operates Camp Hill Dentist in Cumberland County; Scott Harper, a Washington Township lawyer who operates a firm in West York; and Jon Ritchie, a sports broadcaster and former NFL fullback for the Oakland Raiders and the Philadelphia Eagles. Shortly after 11 p.m., results showed Regan with a roughly 9,000-vote lead over Ritchie, his closest rival. All but three precincts in Cumberland County had reported results by that time and 15 of York County’s 19 precincts were reporting. The seat represents portions of northwest York County, from Jackson Township north to Fairview Township, and most of southern and eastern Cumberland County, from Cooke Township in the southwest to East Pennsboro Township in the northeast. The four candidates fought for the spot soon to be vacated by long-time state Sen. Pat Vance, of Cumberland County, who is retiring. The race took an interesting start early when Harper alleged that a member of Arndt’s campaign team and the chief of staff for Sen. Scott Wagner, R-Spring Garden Township, offered a possible judgeship for him to drop out the race in order to not “dilute” the York County vote away from Regan, the only other county resident in the race. Regan and Ritchie disagreed during debates along the campaign trail, largely over which of the two of them was most supported by public-sector unions. Here’s a look at the results as of 11:10 p.m. from York and Cumberland counties. HARRISBURG, Pa. (WHTM) – The state House of Representatives has passed legislation that would prevent people convicted of selling illegal drugs from receiving Pennsylvania welfare benefits. House Bill 222 was sent to the Senate by a vote of 170-20. The legislation is sponsored by Rep. Mike Regan (R-York/Cumberland), who said his experience as a U.S. Marshal enabled him to see first-hand how bad this type of welfare fraud is. He said it’s a cruel act that drains funding for those who truly need it. Regan introduced his legislation in the 2013-14 session, but it did not get a committee vote before the session ended. HARRISBURG, Pa. (WHTM) – Just after 6:30 Wednesday, the House passed Senate Bill 3 by a vote of 149-43. Advocates who have been fighting for the bill’s passage, which would legalize medical marijuana in Pennsylvania, erupted into cheers. “I am actually a little numb right now. I can’t believe it finally happened after all this time,” said Cara Salemme, who’s son Jackson has seizures. “We are very happy. We are just thrilled with the House of Representatives right now. This is what we wanted for 10 months now,” said Latrisha Bentch, daughter Anna has seizures. After the vote, many of the Representatives on the House floor stood and turned towards the group of advocates waving and clapping. “I’m just so happy for them. They are the heroes. They were here every day just fighting this battle,” said Representative Mike Regan, (R) York County. “If there is even an inkling that this can help just one child or one adult or ease a little pain for somebody who in the world am I as a legislator to tell them no. It is a historic day here in Pennsylvania. There is no question about it,” said Representative Dan Moul, (R) Adams County. Senator Mike Folmer, co-sponsor of SB3, was also there to celebrate. “This was done by everyday folk. This was not big money, no big pot money was here, this was everyday folk fighting for the right to have an alternative to have one more arrow in their quiver to fight their disease,” said Folmer, (R) Lebanon County. The bill will now head back to the Senate. Governor Wolf says he will sign the bill if it gets to his desk. This legislative session has been a difficult one, with a drawn-out and contentious debate about the budget and slow progress on an issue that is vital to thousands of Pennsylvanians who face devastating illnesses — medical cannabis. The Legislature has been considering some form of a medical cannabis bill since 2009 and every two years the session ends before anything is done to help suffering patients. Last May, the Senate overwhelmingly approved Senate Bill 3, the latest incarnation of this much-needed bill. During the summer, I served on a working group appointed by House Majority Leader Dave Reed to examine the issue. We came up with recommendations for a House version of the bill and we expected a vote by fall. For the past two years, supporters of medical cannabis have been holding press conferences and sharing their stories. They even set up a simulated doctor’s office waiting room in the Capitol Rotunda to bring attention to their plight. Children with severe epilepsy, people suffering from cancer and numerous other serious conditions, and their loved ones talked to lawmakers day after day in the hopes of getting us to take action. One young girl who could have benefited from medical cannabis tragically passed away from her illness while waiting for a compassionate bill. As voting session resumes, we have yet another opportunity to support a comprehensive, effective medical cannabis program. In order to do that, several things must happen. First, the provision that creates a cap on the percentage of tetrahydrocannabinol, the principal psychoactive constituent that may be present in medical cannabis, should be removed. This was not included in the work group recommendations and is an inappropriate restriction. There is no evidence to suggest that stronger concentrations of THC present a danger to patients. If anything, it means that they can achieve the desired result while consuming less of the substance. It is especially ridiculous to consider capping THC levels when the only federally approved medical cannabis product, dronabinol, is basically 100 percent THC. It is clear that different conditions respond to different levels of THC and those decisions should be made by health care professionals, not legislators. Second, the program should also allow for the whole marijuana plant to be used. New research details the medical uses of various compounds within the plant and how they work together to combat certain symptoms and conditions. It is my hope that the advisory committee attached to the Pennsylvania Department of Health will have the flexibility and authority to expand this legislation as research develops. Patients and their health care providers should not be denied a variety of strains of medical cannabis that are in use throughout the country. Finally, patients should be provided with immediate protection from arrest. Patients should not have to wait as long as two years for legal protections, as the wheels of bureaucracies turn and dispensaries buy property, hire staff and grow and harvest cannabis. Most medical cannabis states provide some kind of legal protections to patients, so if they are already accessing cannabis, perhaps in a state where they establish residence for medical cannabis access, they will not risk their freedom for preserving their health. But most importantly, my fellow lawmakers must not delay any longer. It is our moral obligation to help our fellow Pennsylvanians alleviate their suffering by passing a well-regulated, comprehensive medical cannabis bill as soon as possible. I urge the House to fix the problems with Senate Bill 3 and bring it to a vote. 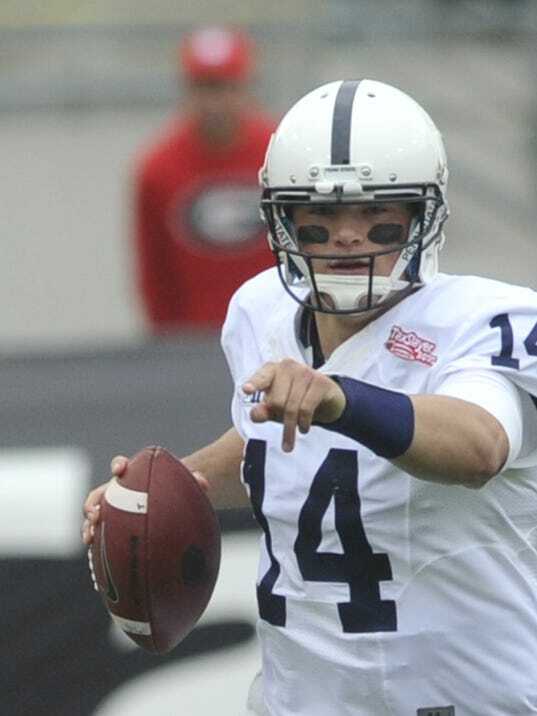 Christian Hackenberg is taking time away from preparing for the NFL Draft to make a political appearance … and to help a friend. The former Penn State quarterback will be a special guest at a fundraiser for Mike Regan, R-Dillsburg, who is running for a state Senate seat in the 31st District, which includes Cumberland and northern York counties. The event will run 6:30 to 8:30 p.m. March 11 at Stock’s Manor, 2421 Mt. Allen Drive in Mechanicsburg. A picnic-style dinner will be served and the cost is $25 per person. Hackenberg will speak at the event and be on hand for photos and to chat with supporters. He is linked to Regan through campaign manager Adam Breneman, his former Penn State teammate and tight end. They got to know each other well as national recruits before ever arriving at Penn State in the summer of 2013. For more information on the event, contact Nan McLaughlin at (717) 884-8547 or email [email protected] Please reserve by March 7. This legislative session has been a difficult one, with a drawn-out and contentious debate about the budget and slow progress on an issue that is vital to thousands of Pennsylvanians who are facing devastating illnesses — medical cannabis. The Legislature has been considering some form of a medical cannabis bill since 2009, and every two years, the session ends before anything is done to help suffering patients. Last May, the Senate overwhelmingly approved Senate Bill 3, the latest incarnation of this much-needed bill. During the summer, I was honored to serve on a working group appointed by House Majority Leader Dave Reed to examine the issue. We came up with a number of recommendations for a House version of the bill, and we expected a vote by fall. First, the provision that creates a cap on the percentage of Tetrahydrocannabinol (THC) that may be present in medical cannabis should be removed. This was not included in the work group recommendations and is an inappropriate restriction. There is no evidence to suggest that stronger concentrations of THC present a danger to patients. If anything, it means that they can achieve the desired result while consuming less of the substance. It is especially ridiculous to consider capping THC levels when the only federally approved medical cannabis product, dronabinol, is basically 100 percent THC! It is clear that different conditions respond to different levels of THC, and those decisions should be made by health care professionals, not legislators. Second, the program should also allow for the whole marijuana plant to be used. New research is coming out all the time about the medical uses of various compounds within the plant, and how they work together to combat certain symptoms and conditions. It is my hope that the advisory committee attached to the Pennsylvania Department of Health will have the flexibility and authority to expand this legislation as research develops. Patients and their health care providers should not be denied a variety of strains of medical cannabis that are in use throughout the country. Finally, patients should be provided with immediate protection from arrest. Patients should not have to wait as long as two years for legal protections, as the wheels of bureaucracies turn and dispensaries buy property, hire staff, and grow and harvest cannabis. Most medical cannabis states provide some kind of legal protections to patients, so if they are already accessing cannabis, perhaps in a state where they establish residence for medical cannabis access, they will not risk their freedom for preserving their health. Watch Rep. Mike Regan’s interview with Fox43 here. I find it astonishing that specific cuts were made to public safety in the form of search and rescue programs. While visiting the 100th Pennsylvania Farm Show last week, I was able to talk to many of my constituents of the 92nd Legislative District, and their message was clear. They do not want their taxes increased, thus taking more money out of their wallets. The latest chapter in this ongoing process had a budget approved that directed money to our schools and social services, which was badly needed. However, Gov. Tom Wolf managed to slice out selected items through his use of the line-item veto on Dec. 29. It was no coincidence that one of the hardest hit areas of those cuts happened in agriculture, and I heard a lot about that. Funding for ag research was hit, along with the Agricultural Promotion, Education and Exports Program, the Open Dairy Show and the All-American Livestock Show. It is a shame that these hard-working, experienced and younger agriculturalists had a shadow cast over what has always been a celebration of Pennsylvania’s best industry. But that is just a part of the story. The departments of Human Services, Corrections, Education, Labor and Industry, and others also were hit by the blue pen veto. As a former law enforcement officer, I find it astonishing that specific cuts were made to public safety in the form of search and rescue programs and local municipal emergency relief. The health and safety of our residents is a top priority, and we are headed into the heart of the winter storm season. This is unconscionable. Adopting the annual budget is one of the most basic and important duties lawmakers and the governor face each year. It is extremely frustrating to me that it was six months late, though it was not for the lack of trying on the part of the Legislature. From day one, the governor has been pushing hard for significant increases in spending and taxing – to levels far beyond what most people can afford. Despite multiple votes that have demonstrated a lack of legislative support for his tax proposals, the governor repeatedly rejected alternative spending plans we sent his way, leaving schools and social services agencies struggling to keep their doors open. I will continue my effort to work with my colleagues to bring this bad budgeting era to an end. I am one of many in the Legislature who is standing up for taxpayers, and I will continue to do so. I will keep you informed as this process continues to unfold. State Rep. Mike Regan is a Republican from Carroll Township. Former Penn State tight end Adam Breneman was hired Wednesday to manage a state Senate campaign. He joined the campaign of Republican state Rep. Mike Regan, who is running for a Senate seat to represent parts of Cumberland and York counties. Breneman, a Mechanicsburg native and a graduate of nearby Cedar Cliff High School, announced last week that his football career was ending due to a chronic knee injury. He graduated in three years in December with a degree in business management and is pursuing a master’s degree at Penn State. Breneman’s father, Brian, is a graduate of Spring Grove High School. 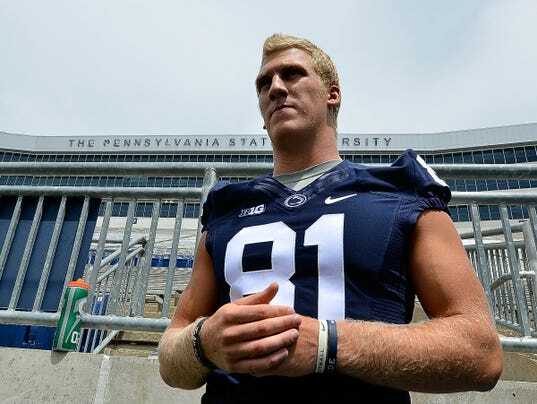 CAMP HILL, Pa. (WHTM) – Adam Breneman, former Penn State, and Cedar Cliff High School football player, was hired by State Representative Mike Regan as his campaign manager for his State Senate run. Regan’s campaign made the announcement in a press release Wednesday and Breneman tweeted about it. Breneman, a native of Lower Allen Township, graduated from Penn State’s College of Business in three years. Regan is running for the State Senate seat that is open because of Sen. Pat Vance’s retirement. Rep. Mike Regan has announced that he will run for the Senate seat currently held by Pat Vance in 2016. “I am committed to being a strong leader in the Senate and will continue to focus on the priorities of working families, retirees, and all of the citizens of Cumberland and York counties,” said Regan, R-Dillsburg, in a written statement. Regan, who was elected to the House in 2012, has been a member of the House task force on pension reform. He said he’d continue to focus on that issue going forward. Sen. Pat Vance, R-Cumberland County, had said in 2012 that she may not seek a fourth term. So far, she said, it’s premature to make any announcement about her plans for 2016. A former nurse, Vance served in the House for more than a decade before running for the Senate in 2004. 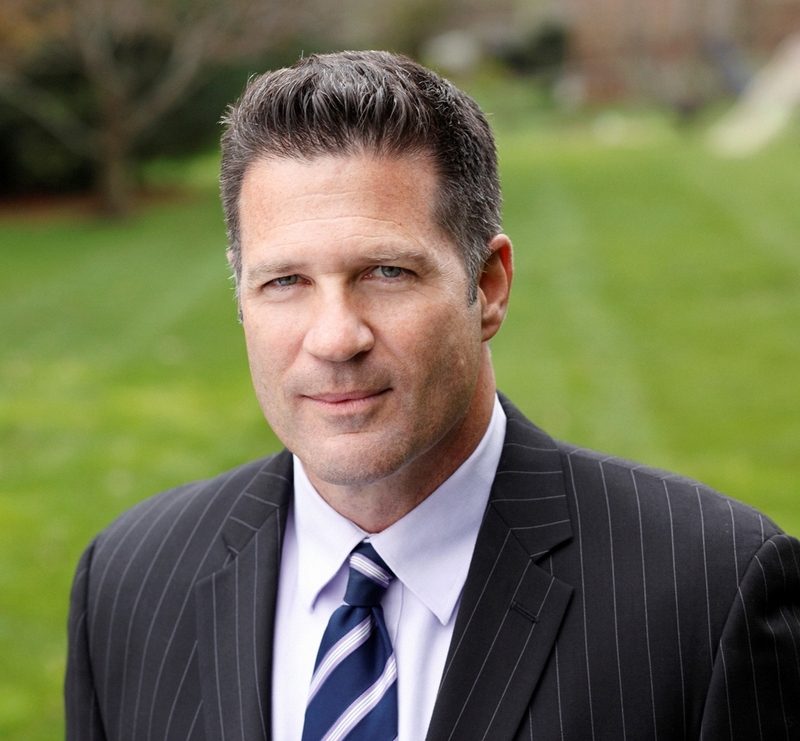 Regan, 53, began his career as a U.S. Marshall and served as the state’s deputy inspector general before running for the House in 2012. Rep. Mike Regan has announced he will seek the State Senate’s 31st District seat, currently held by long-time fellow GOP lawmaker Pat Vance. Vance, 79, has yet to declare whether she’ll run for re-election, saying she will decide at the beginning of next year, according to a York Dispatch report. Regan has served two terms in the State House of Representatives, where he is one of 203 members. A move to the state Senate would see him become one of an elite group of 50 legislators. Vance has been a Harrisburg lawmaker for 24 years, 14 in the House and 10 in the Senate. Her seat covers parts of Cumberland and York counties. A sophomore state representative from the Dillsburg area announced Thursday he’s running in the 2016 election for a state Senate seat. Rep. Mike Regan, R-Dillsburg, said he’s running for the seat held by long-term lawmaker Pat Vance, a fellow Republican, but won’t seek re-election to his House seat next year. With only 50 senators serving in Harrisburg, Regan said a seat in the upper chamber would allow him to have more of an effect on government. Regan, who has a background in law enforcement, was first elected to the House in 2012 and successfully sought re-election last year. His district covers parts of northern York County and southern Cumberland County. Senate: Vance, who has served in the Senate for 10 years and, before that, in the House for 14 years, hasn’t announced whether she’ll run again for the seat. Reached by phone, Vance, 79, said she’ll announce her intentions after the start of 2016. Vance’s seat covers a large swath of Cumberland County and parts of York County that stretch from Fairview Township in the north to Jackson Township in the south. Regan, 54, said he was partially prompted to run because of the Republican leadership in the Senate that he sees as moving in the right direction. He also said he’s been impressed with Sen. Scott Wagner, R-Spring Garden Township, with his “get things done” attitude. “He points his nose in that direction and I think that’s refreshing,” he said. Won’t seek re-election: Regan’s House seat will also appear on the ballot in 2016, but he said, he won’t seek re-election since he’s running for the Senate. In the House, Regan serves on the Insurance, Judiciary, Liquor Control and Veteran Affairs & Emergency Preparedness committees. He’s a native of Lower Allen Township, Cumberland County and a graduate of Cedar Cliff High School. He and his wife, Fran, have four children — Shea, Brooke, Ty, and Chase — and live in Carroll Township, according to a news release from Regan’s camp. Regan has served as a youth wrestling, football and soccer coach, the release said. Senators serve four-year terms in Pennsylvania.